Foundation Fieldbus (FF) is primarily used in the process control industry. It was developed and is maintained by the Fieldbus Foundation. It was originally intended to be the digital replacement for the ubiquitous 4-20 mA standard that still commands 85% of the field device market share. Foundation Fieldbus operates on two physical layers. Fieldbus H1 uses an RS-485 physical layer operating at 31.25 kbit/second over standard twisted pair cabling H1 is recommended for the field device level. Fieldbus HSE (High Speed Ethernet) runs over standard Ethernet, and recommended for backbone communications in a plant. Foundation Fieldbus H1 also provides for supplying power to devices through the cable, allowing for intrinsically safe operation in explosive environments. Foundation Fieldbus uses client/server and publisher/subscriber communications methods. Communications between devices and controllers can be scheduled or unscheduled, event-driven messages. All Foundation Fieldbus devices must supply a device description (DD) file which describes the device to the controller. 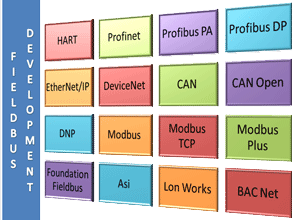 The Fieldbus Foundation maintains a compliance test suite for conformance and interoperability. Once the test suite is passed, the device is registered with the Foundation and can utilize the logo and marketing resources of the Foundation. What Can AB Tech Solution Do for Your Foundation Fieldbus Product Development? Originally developed by Siemens, PROFINET is the Ethernet-based fieldbus protocol which integrates well with the earlier PROFIBUS-DP protocol. PROFINET is maintained by PROFIBUS and PROFINET International (PI) which is based in Germany. PROFINET is currently the most popular Ethernet fieldbus in Europe. It is primarily utilized by Siemens, but PROFINET controllers and devices are available from several manufacturers. 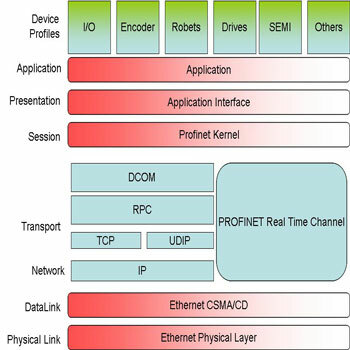 PROFINET has three distinct manifestations: PROIFINET I/O and PROFINET CBA, which utilize standard Ethernet hardware, and PROFINET IRT, which requires special hardware. PROFINET CBA is primarily used for non-real-time systems, whereas PROFINET I/O is used for "soft" real-time plants. PROFINET IRT (Isochronous Real Time) used where tight, "hard" real-time deadlines are required, such as in an interpolated multi-axis motion application. PI maintains a mandatory certification system for all PROFINET devices to insure conformance and interoperability. All PROFINET devices must supply a device description file, called a General Station Description (GSD) file. This file describes the device in a defined format, which allows it to be read by both the human, and the PROFINET controller. What Can AB Tech Solution Do for Your PROFINET Product Development? PROFIBUS-PA is an intrinsically-safe version of PROFIBUS-DP used in the process automation industry. Like PROFINET and PROFIBUS-DP, PROFIBUS-PA is managed by PROFIBUS and PROFINET International (PI), based in Germany. Because it is intended for process automation environments, PROFIBUS-PA is not as widely used as PROFIBUS-DP. PROFIBUS-PA also utilizes device profiles, like PROFIBUS-DP, but the profiles are more likely to be process device configuration profiles. PROFIBUS-PA primarily uses the Manchester Bus Powered (MBP) physical layer, which is intrinsically safe in explosive environments. The MBP physical layer allows The data link layer, FDL, is identical to the PROFIBUS-DP link layer, using a hybrid master-slave and token passing scheme. PI maintains a mandatory certification system for all PROFIBUS-PA devices to insure conformance and interoperability. All PROFIBUS-PA devices must supply a device description file, called a General Station Description (GSD) file. This file describes the device in a defined format, which allows it to be read by both the human, and the PROFIBUS-PA controller. What Can AB Tech Solution Do for Your PROFIBUS-PA Product Development? One of the world's most successful fieldbuses, PROFIBUS-DP is a serial bus protocol, which allows several devices to be connected on a single pair of wires. The PROFIBUS-DP protocol was designed by Siemens for distributed industrial I/O. Like PROFINET and PROFIBUS-PA, PROFIBUS-DP is managed by PROFIBUS and PROFINET International (PI), based in Germany. PROFIBUS-DP is currently the most popular fieldbus in Europe. It is primarily utilized by Siemens, but PROFIBUS-DP controllers and devices are available from several manufacturers. A variety of automation device profiles for equipment such as encoders, robots, and the like are available from PI to encourage "plug and play" interchangeability between different vendors' equipment. PROFIBUS-DP uses a variety of physical layers. RS-485 is the most popular physical layer, but optical media and Manchester Bus Powered (MBP) are also utilized in explosive environments. The data link layer, FDL, uses a hybrid master-slave and token passing scheme. PI maintains a mandatory certification system for all PROFIBUS-DP devices to insure conformance and interoperability. All PROFIBUS-DP devices must supply a device description file, called a General Station Description (GSD) file. This file describes the device in a defined format, which allows it to be read by both the human, and the PROFIBUS-DP controller. What Can AB Tech Solution Do for Your PROFIBUS-DP Product Development? The EtherNet/IP protocol is the Ethernet-based manifestation of ODVA's Common Industrial Protocols fieldbus suite. It is one of the most popular industrial fieldbuses in the United States. EtherNet/IP utilizes standard Ethernet and Internet protocols, allowing for a wide range of choices for cabling media and network equipment, as well as for simple integration of EtherNet/IP with company enterprise networks. EtherNet/IP can be used as a high speed factory network backbone, or directly with intelligent devices. Because it implements CIP, it interoperates seamlessly with other CIP based protocols such as DeviceNet. EtherNet/IP also standardizes human-element factors by standardizing such things as visual indicators, connectors, and labeling. 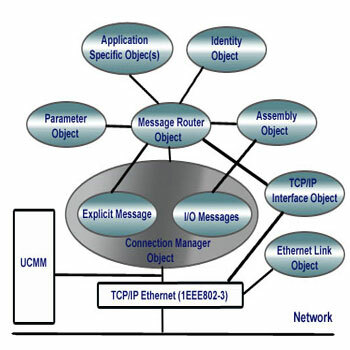 EtherNet/IP utilizes atomic, connection-oriented and connectionless publisher-subscriber methods for communications, allowing for bandwidth efficiency and deterministic operation of the industrial network. A wide range of EtherNet/IP controllers and devices are available from several automation equipment manufacturers, including Allen-Bradley, Schneider Electric, and a host of others. A variation of EtherNet/IP, CIP Motion, has been developed to address deterministic, real-time, closed-loop motion requirements on the factory floor. All EtherNet/IP devices are required to have a device description (EDS) file which loaded into the EtherNet/IP controller. The EDS file describes the device, its communication capabilities, and available data in a format that both the engineer and the controller can understand. What Can AB Tech Solution Do for Your EtherNet/IP Product Development? DeviceNet protocol is the device-level, CAN-based manifestation of ODVA's Common Industrial Protocols (CIP) fieldbus suite. It is one of the most popular fieldbuses in the world today. Over 700 vendors support the DeviceNet standard worldwide. DeviceNet utilizes the inherently robust CAN data and physical layers for data communication. In addition, DeviceNet takes advantage of the CAN power connection to supply operating voltage to devices with limited power requirements. The multi-drop bus structure of CAN simplifies wiring and minimizes cabling costs, as well as improving reliability by reducing the number of required connection points. The DeviceNet protocol utilizes the producer-subscriber model for data interchange, allowing for multiple communication hierarchies to be implemented. Messages can be prioritized, and networks can be set up using master-slave or peer-to-peer models. Because it implements CIP, it interoperates seamlessly with other CIP-based protocols such as EtherNet/IP. All DeviceNet devices are required to have a device description (EDS) file which loaded into the DeviceNet controller. The EDS file describes the device, its communication capabilities, and available data in a format that both the engineer and the controller can understand. What Can AB Tech Solution Do for Your DeviceNet Product Development? The Controller Area Network was originally developed by the Robert Bosch Corporation as a robust, low-speed messaging protocol for automotive use. The CAN protocol is now maintained by the ISO standards organization. The CAN protocol specifies only a physical and link layer. 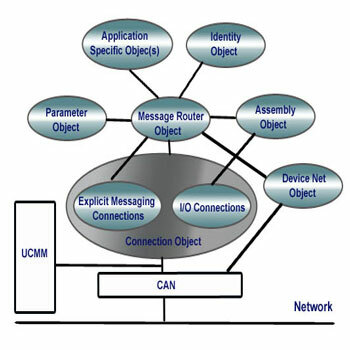 A variety of higher-level protocols, such as DeviceNet, CANopen, J1939, and untold proprietary messaging protocols successfully run over CAN. The CAN physical layer uses a balanced, differential transmission scheme for twisted-pair media. CAN data rates are specified as low as 10 Kbit/second, up to a maximum of 1 Mbit/second. The CAN physical layer does not use any other physical layer specifications, so CAN-specific transceiver and controller chips are available from a variety of semiconductor manufacturers. The CAN network layer defines a robust bus protocol, providing error detection. Every device on the bus may signal corrupted reception, which invalidates the message to all devices on the bus. The CAN telegrams contain a maximum of 8 data bytes, so the rejection of a single message does not seriously limit throughput. 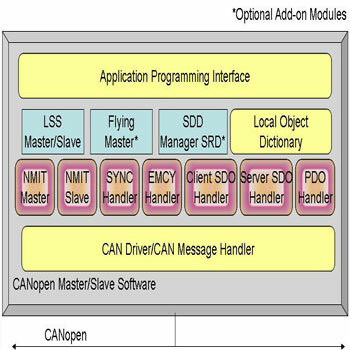 Since CAN is an enabling technology, there are no certification, interoperability, or conformance requirements to use CAN with a proprietary messaging scheme. However, standard high level protocols which are defined for use on CAN may have such conformance and testing requirements. What Can AB Tech Solution Do for Your CAN Product Development? Develop a product for you with a CAN-based standard or proprietary protocol. 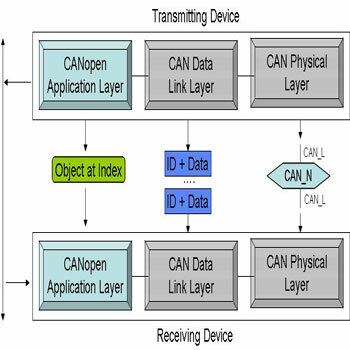 CANopen is an open protocol developed by the CAN in Automation (CiA) organization in Nuremburg, Germany. Like many other application protocols, CANopen uses the robust and ubiquitous CAN physical and link layers for data communication. The CANopen physical layer is specified for a range of transmission speeds between 10 Kbits/second and 1 Mb/second. Because of the nature of the underlying CAN error checking protocol, the maximum cable length for a CANopen network depends upon the bit rate chosen. At the lower speeds, CANopen can be used for controlling all the cars in a passenger train, whereas the higher speeds are primarily reserved for communications within a few meters. As an open member organization, CiA publishes a collection of standard CANopen device and system profiles for a variety of uses in the transportation, construction, agriculture, industrial automation, and medical device industries. Dozens of manufacturers are members of the CiA and supply hundreds of CANopen products to customers all over the world. The CiA also publishes a safety version of the CANopen protocol, and provides a piece of special hardware which will allow CANopen devices to be used in Safety Shutdown Systems. All CANopen devices are required to provide an Electronic Data Sheet (EDS) file which describes the device capabilities and objects to human engineers and CANopen controllers. The CiA requires all CANopen devices to pass a standard compliance test. The CiA also holds "PlugFests" two or three times a year so your product can be connected with and tested against other company's equipment for interoperability. What Can AB Tech Solution Do for Your CANopen Product Development? The Distributed Network Protocol was developed by the Harris company to provide interoperability between electric substations, intelligent electronic devices, remote terminals, and master stations in the electric utility industry. Since introduction, it has been expanded to include other industries, such as water/wastewater, oil and gas, and transportation. The open protocol is currently managed by the DNP Users Group. Hundreds of vendors across the world supply equipment which conforms to DNP. DNP operates on a variety of physical media. Typically, modem communications over telephone lines are used, but the DNP also specifies a protocol for Internet communications, and DNP has been implemented successfully on corporate networks, as well as cellular, licensed and unlicensed radio systems. The DNP protocol defines a link layer, a pseudo-transport layer, and an application layer. DNP objects define how data transmitted over the wire are correctly parsed and interpreted by the receiver. The DNP Users Group defines three implementation levels for equipment. Level 1 specifies a minimum set of features, while Level 3 specifies a complete set of features. The DNP Users Group requires a registered vendor namespace, as well as conformance testing for all intelligent electronic devices. What Can AB Tech Solution Do for Your DNP Product Development? The Modbus serial protocol was one of the first industrial communication protocols ever developed. Developed by MODICON, the company that created the PLC, the protocol is a model of simplicity. As a result, it is used all over the world for industrial communications. Because it can be used over modems, it is the de facto communications standard for SCADA systems and remote terminal units (RTU). The original Modbus ASCII protocol has largely been supplanted by the more versatile RTU protocol. The Modbus/RTU messaging structure is consistent with the message structure for Modbus/TCP, allowing for seamless operation between the two protocols. The Modbus Organization has even published specifications on how a gateway between the two protocols should operate. The Modbus serial protocol can be implemented using point-to-point physical layers, such as RS-232 and RS-422, or it can be implemented in multi-drop bus configurations using RS-485. 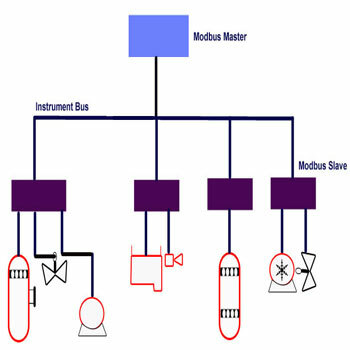 The Modbus Organization, which maintains the protocol, is supported by dozens of members from all over the globe. There is no standardized conformance or interoperability test suite for Modbus serial devices, but informal conformance and interoperability testing is available. What Can AB Tech Solution Do for Your Modbus Product Development? Modbus/TCP is the Ethernet manifestation of the venerable Modbus protocol. Modbus/TCP utilizes standard Ethernet and Internet protocols, allowing for a wide range of choices for cabling media and network equipment, as well as for simple integration of Modbus/TCP with company enterprise networks. Modbus/TCP can be used as a high speed factory network backbone, or directly with intelligent devices. Modbus/TCP is supported by hundreds of manufacturers worldwide, including Schneider Electric and Allen-Bradley. It is maintained by the Modbus Organization. Modbus/TCP has recently been incorporated by the ODVA into the EtherNet/IP protocol. This allows intelligent controller and field devices to utilize the strengths of both protocols in the same hardware. Since Modbus/TCP uses the same message structure as Modbus/RTU, gateways between a Modbus/TCP controller and multiple Modbus/RTU devices allows for aggregating field I/O onto a single Ethernet cable, reducing wiring costs and improving reliability. The Modbus Organization has developed a standard conformance test for Modbus/TCP devices, and issues a "passed" checkmark for all devices which conform to the standard. What Can AB Tech Solution Do for Your Modbus/TCP Product Development? Modbus+ (pronounced, "Modbus Plus") is a proprietary, multi-drop peer-to-peer bus protocol using a token-passing scheme for data transmission at a higher data rate than Modbus serial protocols. Schneider Electric maintains control of the Modbus+ protocol. Modbus+ uses a proprietary 1 Mbit/second physical layer based upon RS-485, HDLC as the data link layer, and standard Modbus messaging protocol. The higher speed of the protocol makes it a cost-effective choice for certain applications. Hundreds of devices exist for Modbus+, available from a variety of manufacturers. What Can AB Tech Solution Do for Your Modbus+ Product Development? The Highway Addressable Remote Transducer (HART) protocol was originally developed and is currently managed by the HART Communication Foundation (HCF). Based upon Bell 202 modem technology, it first allowed digital configuration of "smart" 4-20 mA industrial field devices. Because of the large installed base (85%) of 4-20 mA field devices, HART is one of the most popular fieldbuses today. Because the modem signals which ride on top of the 4-20 process variable signal have an average voltage of zero, HART does not affect legacy 4-20 mA signal conditioners, which means HART-compliant field devices can replace standard field devices. Handheld HART communicators can be used to configure a field device or to gather diagnostics from the device while the plant process is still running. HART has been expanded in recent years to allow fully digital, multi-drop communications between HART masters and HART devices. Generally, the field device is supplied with a continuous 4 mA of current, and all communication is performed in a master-slave manner between the controller and the device. All HART devices must supply a device description (DD) file which describes the device to the controller. The HART Communication Foundation maintains a compliance test suite for conformance and interoperability. Once the test suite is passed, the device is registered with the HCF and can utilize the logo and marketing resources of the HCF. The Actuator Sensor interface was originally developed by Siemens to provide a low-cost, efficient wiring & communication system for low-level industrial field devices. The protocol is currently owned & managed by the AS-Interface organization. ASi uses a continuous, polarized two-wire cable that is chained between all the devices in a system. ASi devices connect to the wire with piercing "vampire" taps, which greatly simplifies the wiring process. The special, self-healing quality of the ASI cable allows for an IP67 rating, even after a device has been removed from the cable. The ASi cable also delivers power (24 VDC at 8 amperes) to the field devices. The ASi physical layer operates at 167 kbits/second, and uses Manchester II encoding for reliable data transfer. The physical layer supports up to 100 meters of cable without repeaters, or up to 300 meters using two repeaters. The ASi link layer allows up to 31 devices to be chained together (up to 62 devices with some additional engineering). Because each ASi telegram only contains four bits of information, all 31 devices can be interrogated in 5 milliseconds, allowing for a fast scan of the low-level devices. A variant of the ASi protocol, called "Safety at Work", allows for ASi devices to be used for Safety Shutdown Systems. Over 60 vendors support the ASi fieldbus with everything from PLCs to E-stop switches and visual indicators. The AS-Interface organization requires conformance testing and certification for all devices. What Can AB Tech Solution Do for Your ASi Product Development? LonWorks was developed by the Echelon Corporation and is maintained by a variety of standards bodies, including ANSI. It offers an integrated solution to a variety of control system applications. Once a closed, proprietary system, Echelon Corporation "opened" the protocol in the 1990s to allow for greater adoption of the technology. 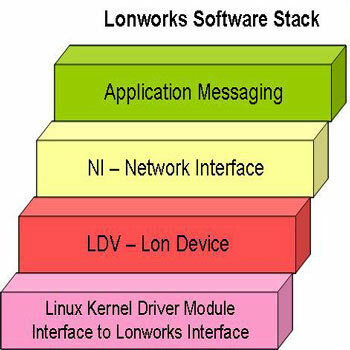 In addition to a simple communications protocol, LonWorks provides a signaling protocol, a network operating system, a web interface, and several utilities for installation and management. LonWorks can be used with wireless communications protocols such as Zigbee. The LonWorks physical layer is specified for twisted-pair cabling, fiber optics, power transmission lines, and wireless protocols. The speed of LonWorks transmissions vary depending upon the physical media chosen. The twisted-pair bit rate is 78 Kbit/second using Manchester encoding, while the effective power line speed is 5.4 or 3.6 Kbit/second depending upon the power line frequency. There is no centralized certification or interoperability testing required, but conformance and interoperability test suites are available to make sure your LonWorks product will operate correctly. What Can AB Tech Solution Do for Your LonWorks Product Development? BACnet, the Building Automation and Control network protocol, was developed by the American Society of Heating, Refrigeration, and Air conditioning Engineers (ASHRAE) to provide standard messaging for air handling equipment, building lighting systems, and the like. The BACnet protocol is maintained by the BACnet International organization, which is made up of several BACnet equipment and system vendors to promote BACnet technology and conformance. BACnet is primarily an application level protocol. BACnet can operate on a wide range of physical networks, from Ethernet all the way to RS-232 serial connections. Typical BACnet equipment is defined for use on Ethernet, LonWorks, ARCNET, RS-485, and RS-232. The BACnet/IP protocol allows for control and monitoring over the Internet. The BACnet protocol defines some network management messages, such as object discovery, and several different low-level objects and how each object is to be controlled and/or monitored. Complex equipment such as rotary chillers and air handlers are described by collections of these lower level objects. Over 500 vendors provide a variety of BACnet-compliant products. BACnet International requires a BACnet vendor ID conformance testing for BACnet-compliant products. What Can AB Tech Solution Do for Your BACnet Product Development?